Dr Mrs Archana Rajeshkumar Singh from Navi Mumbai, Other Graduate. BEHAVIOR THERAPIST COUNSELING TREATMENT AND DIAGNO..
are one of expert skill area's of Dr Mrs Archana Rajeshkumar Singh . 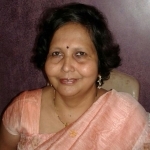 Dr Mrs Archana Rajeshkumar Singh is working in Doctors/Nurses/Medical Professional industry.